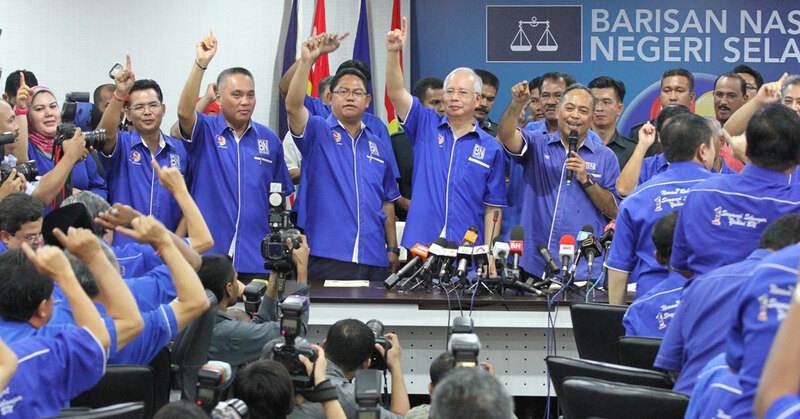 A Look At 5 Crucial Promises From BN's GE13 Manifesto: Have They Been Fulfilled? With the 14th General Elections on the horizon, we thought that the time was right to take a look back at some of the promises made during the last round of elections held in 2013. We selected five promises from Barisan Nasional’s 2013 manifesto that would be very relevant to the average Malaysian, including reduction of car prices, decreasing the number of toll plazas, improving our education system, improving rail transport systems, and increasing BR1M payouts. As GE14 approaches, we find ourselves knee-deep in political gossip and hearsay. And while there isn’t yet an announced date for the upcoming elections, many have already started looking back at the last electoral round and the events that transpired five years ago. With the election fever steadily heating up, we thought that it would be a good time to take a look at some promises made by our current ruling party during GE13 and see how well they’ve made good. The five promises highlighted below are from Barisan Nasional’s manifesto released during the days leading up to the actual 2013 general election day. Although there are far more promises contained within the manifesto, we selected these based on their relevance and impact towards the livelihoods of the overall Malaysian populace. 1. Reduction of car prices. In Barisan Nasional’s manifesto during GE13, it was stated that one of the targets was to see a gradual drop in car prices by 20% to 30% percent. This was to be done in stages through the National Automotive Policy 2014. Five years on, there have been some reports of a drop in car prices compared to 2013, including a newspaper report by Berita Harian that attributed drop in prices to the strengthening of our currency and the government’s efforts in improving our automotive policy. But according to a report from PaulTan.org, these comparisons have been cherry-picked and have ignored factors such as model variants and differences in spec types. In a comparison chart, it was shown that there was mixed movement in the prices some of the more popular car models. While there was a marginal decrease in car prices with models like the 2018 versions of the 1.3 litre variant of the Perodua Myvi and the base model Proton Saga actually seeing an 8% increase in price from 2013. In summary, any drop in car prices since 2013 is marginal at best and nowhere close to the 20% to 30% target stipulated in BN’s manifesto. 2. Decreasing the number of toll plazas. Another one of the promises made in BN’s GE13 manifesto was the lessening of intra-city toll plazas. This promise was made within the overarching commitment to building world class infrastructure in both urban and rural areas. Four toll plazas (Batu Tiga and Sungai Rasau in Selangor, Bukit Kayu Hitam in Kedah and at the Eastern Dispersal Link (EDL) in Johor) were abolished at the beginning of 2018. Following this, PM Najib then also openly voiced his disdain for toll plazas and reiterated his promise to reduce the number of toll plazas in the country. “Wherever I can I will abolish tolls, it causes heartache and traffic jams,” he said. However, the closures of the four aforementioned tolls were dampened somewhat by the announcement of the completion dates for the upcoming Damansara-Shah Alam Elevated Expressway (DASH) and Ulu Kelang Elevated Expressway (SUKE) highways in 2020, and six new toll plazas to accompany them. However, new toll plazas usually spring up with new highways and land routes, so the four toll closures at the beginning of the year could be a sign of things to come. Promise kept? Yes, but not by much. 3. Raising our the quality of our education system. Another point made within the manifesto was the promise to bring Malaysia into the “top third category” of best education systems in the world (we assume that “top third” here means the top 1/3 in the world). This claim is best compared against the Global Competitiveness Report released by the World Economic Forum every year. The report is a widespread analysis of the economic competencies of 137 nations around the globe that leverages on highly detailed metrics such as internet availability, focus on math and science education, and primary school enrollment. In the 2017 release of the report, it appears that Malaysia has managed to squeeze itself into the top 45 out of 137 ranked nations in the “higher education and training” category, essentially placing us within the top third. We also rank at 30 out of 137 countries in the “health and primary education” category. These results objectively classify the promise to bring our education system to within the top 1/3 in the world as a success, so promised fulfilled. 4. Improving our rail transport infrastructure. In its manifesto, Barisan Nasional also made a promise to improve Malaysia’s rail systems, including a resolve to expanding the LRT and Commuter lines and getting the Mass Rapid Transit (MRT) system up and running. Five years on, these promises have been fulfilled. The LRT system has seen expansion in various parts, including the introduction of the Putra Heights line in June 2016. The first line of the MRT system was also completed and became fully operational in December 2016, with another line to be completed by July 2021.
Credit where credit is due, this promise has been fulfilled. 5. Increasing the value of individual BR1M payouts. First introduced in 2012, the Bantuan Rakyat 1 Malaysia (BR1M) scheme was introduced by PM Najib as an initiative to provide financial assistance to low income groups (a combined monthly income below RM4,000 for households) in Malaysia. In BN’s 2013 manifesto, the promise was made to gradually increase BR1M payouts to an amount of RM1,200 per household, or RM600 for individuals. Every year since then, the amount paid out has seen a gradual increase. And in 2017, the payout for BR1M reached a maximum of RM1,200 for households and RM450 for individuals, which has remained the same for 2018. Promise fulfilled? For households yes, but not for individuals. Running through the list, it seems that most of the promises listed here have managed to hit their intended goals. But in our opinion, we feel that there’s still much more to be done on the way to accomplishing Transformasi Nasional 2050. As it stands, Pakatan Harapan has already released their own manifesto for GE14, and we look forward to seeing what Barisan Nasional’s will look like once it’s released.